Why is this? Many transportation experts blame the new generation of road de-icing chemicals, particularly magnesium chloride. This compound forms a crystalline film on the body and the windows of vehicles that is difficult to wash off. Magnesium Chloride draws moisture from the air and the residue on the vehicle becomes actively corrosive at humidity rates below 25 percent. Adding to the threat is the fact that many government entities use magnesium chloride for dust control on dirt and gravel roads. For many vehicles exposed to a range of driving conditions, magnesium chloride can be a year-round problem, not just a seasonal one. Start from the inside. The mechanism of corrosion requires that an electrolyte, usually water, come into contact with the steel. 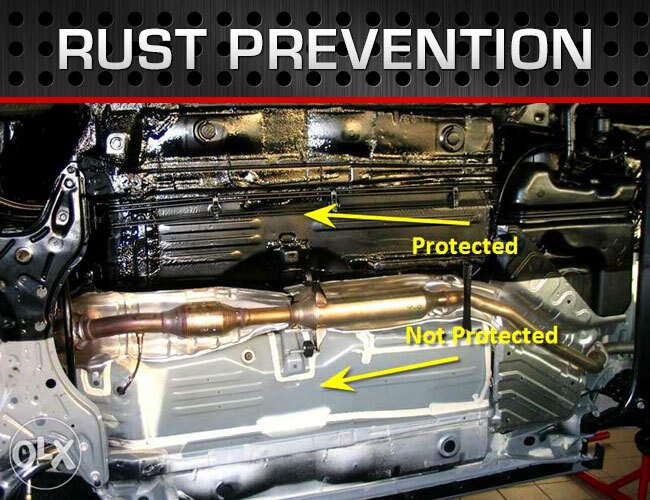 Therefore, whatever you can do to prevent this interaction is critical to achieving anti corrosion protection. Applying an anti-corrosion spray wax helps prevent inside-out rust. The wax is inserted into selected vehicle cavities located in the doors, hood, trunk frame, fenders, quarter panels and rocker panels. It then forms a barrier that prevents the electrolyte from coming into contact with the metal. We are committed to giving our customers the greatest long term value by providing the world’s finest industrial coatings and high performance paint products along with the best technical and product support team in the industry. Z Tech's rust prevention products and high performance paints are used on trucks, trailers, railcars, barges and a variety of heavy-duty machinery and equipment. Manufacturers and companies in shipping, rail, marine, aerospace, construction, mining and refining, use Z Tech rust proofing systems to prolong the life of their valuable investments.